Below you fill find all funeral homes and cemeteries in or near Moberly. 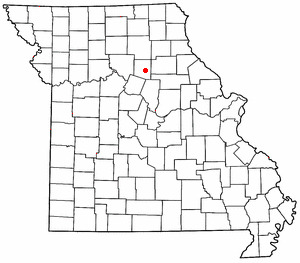 Moberly is also known as: Randolph County / Moberly city. Their current mayor is Mayor Andrew Morris. Zip codes in the city: 65270. Some of the notable people born here have been: Rebecca McClanahan (nurse and nursing), Mike Wilson (writer and film producer), and Brent Briscoe (actor and screenwriter). It was reported by Deseret News on November 17th, 2018 that Hartman Jr Rector died in Provo, Utah. Rector was 94 years old and was born in Moberly, MO. Send flowers to express your sympathy and honor Hartman Jr's life. It was disclosed on September 17th, 2018 that Deborah Kaye Kelly (Walls) passed on in Moberly, Missouri. Ms. Kelly was 63 years old and was born in Okinawa, . Send flowers to express your sorrow and honor Deborah Kaye's life. It was noted by Current Local on February 8th, 2018 that Marilynne Eckelmann (McClintock) died in Moberly, Missouri. Ms. Eckelmann was 96 years old. Send flowers to express your sympathy and honor Marilynne's life. It was revealed by Lincoln Courier on August 18th, 2017 that Norma L Smith (Patton) died in Lincoln, Illinois. Ms. Smith was 84 years old and was born in Moberly, MO. Send flowers to express your sympathy and honor Norma L's life. It was reported by South West Times Record on August 13th, 2017 that Mark Rowan died in Ft Smith, Arkansas. Rowan was 58 years old and was born in Moberly, MO. Send flowers to express your sorrow and honor Mark's life. It was written by Waterloo/Cedar Falls Courier on July 30th, 2017 that Carol "Margo" Nicholas (Falzone) perished in Cedar Falls, Iowa. Ms. Nicholas was 75 years old and was born in Moberly, MO. Send flowers to express your sorrow and honor Carol "Margo"'s life. It was noted by The Daily Citizen on June 16th, 2017 that Barbara Middleton (Carter) passed on in Searcy, Arkansas. Ms. Middleton was 59 years old and was born in Moberly, MO. Send flowers to express your sorrow and honor Barbara's life. It was written by Centralia Sentinel on June 13th, 2017 that Thomas Carr passed away in Salem, Illinois. Carr was 74 years old and was born in Moberly, MO. Send flowers to express your sorrow and honor Thomas's life. It was reported by Coshocton Tribune on January 4th, 2017 that Marilyn Gretchen Ludwick (Myers) passed on in Coshocton, Ohio. Ms. Ludwick was 84 years old and was born in Moberly, MO. Send flowers to share your condolences and honor Marilyn Gretchen's life. It was revealed by Topeka Capital-Journal on June 19th, 2016 that Melissa R Scrivner (Barbee) died in Olathe, Kansas. Ms. Scrivner was 49 years old and was born in Moberly, MO. Send flowers to express your sympathy and honor Melissa R's life. Moberly, the first president of the Chariton and Randolph County Rail transport On Independence Day, 1995, a tornado ripped through downtown Moberly. Four people were killed and thirteen were injured in the F3-level tornado. There were no reported deaths, but there was a large amount of structural damage. Another tornado tore through the area on Sunday, March 12, 2006. The Moberly Micropolitan Statistical Area consists of Randolph County. Moberly was founded in 1866, and named after Colonel William E.
Listing all funeral homes in Moberly, Missouri so you can easily send flowers to any location (same day delivery) or find any funeral service. Here is a list of Moberly funerals and memorials providers. We work with local florists and flower shops to offer same day delivery. You will find budget sympathy flowers in Moberly here. Our funeral flowers are cheap in price but not in value.